RONA Electronic Data Interchange must be implemented by all suppliers to deal with RONA (LOWE’S), unless otherwise authorized. The following are the documents covered by EDI transmissions: ANSI 850 Purchase Order, ANSI 810 Invoice, ANSI 810c Credit Notes. 3 months are allowed to complete the RONA Electronic Data Interchange process from the date of activation of the account. Until completion of the process, a 1% fee will apply for each manual paper invoice processing. Pending the implementation of the EDI system, two (2) hard copies of the invoice must be sent to the following address: RONA Inc., C.P. 1003 Boucherville (Québec), J4B 7H7. Any request for additional copies will be applied an administrative fee for each additional EDI transaction. The PO is a document that provides information on product identification, quantity purchased, price and the date required at the destination for all items purchased from the supplier. Upon receipt of the PO, the supplier undertakes to deliver the ordered goods. Each POs issued must be sent by EDI transmission for all its distribution centers and stores. 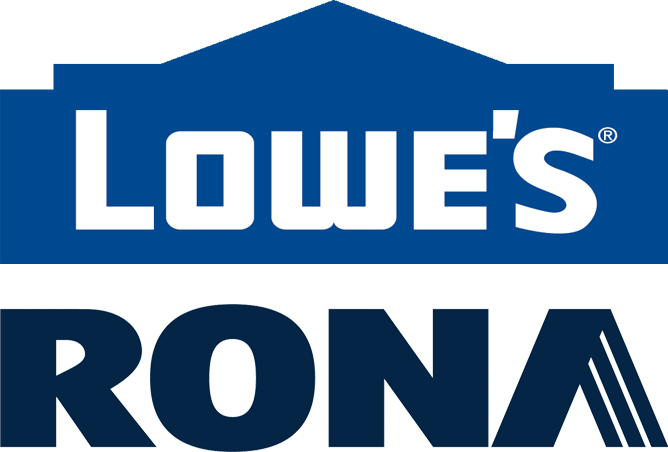 LOWE’S / RONA may reduce, modify or cancel an order if the supplier fails to meet delivery deadlines on the PO at no charge to LOWE’S / RONA. Store Direct Delivery POs are issued by the LOWE’S / RONA supply chain department and / or affiliated stores (the company, franchisees or affiliated merchants). Merchandise must be shipped directly to merchant as stated on the PO. Supplier must always bill LOWE’S / RONA via EDI and never negotiate directly with authorized merchants. POs where back orders (B/O) are “allowed”: Allows supplier to make multiple shipments for the same PO. POs where back orders (B/O) are “not allowed”: Does not allow multiple deliveries on the same PO. The total quantity ordered must be delivered on the required date, or the PO will be closed after the first delivery. If the PO is canceled, LOWE’S / RONA reserves the right to change the quantities on the new PO. As a result, new quantities may be smaller than the quantities originally ordered. If the supplier completes a PO with multiple deliveries, the supplier will be required to pay the transportation costs for any additional deliveries made outside of the original LOWE’S / RONA deadline.